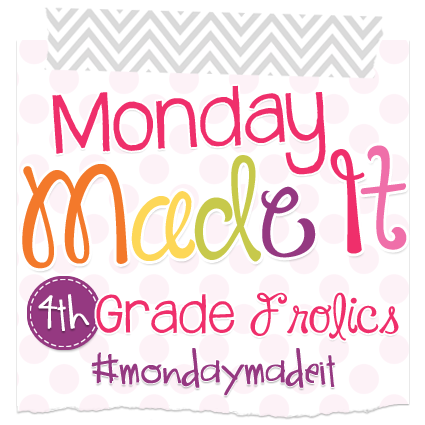 Going Strong in 2nd Grade: Monday Made-It: June 29th! Hey y'all! It's hard to believe that summer is going by so fast - it's already June 29th! Next Monday, I'll be off to Vegas, and then the next week I'll be in back-to-school mode. 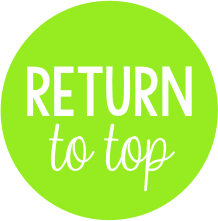 We have optional workdays Wed-Fri of that week and then on the 20th, we all report back for teacher workdays! But, I've been busy again this week with all kind of new Monday made-it projects - too many to share! So, I tried to pick 3 types of things that I could group together to share plenty! Speaking of Vegas...I got all my handouts for both my conferences next week printed and bound! Was going to go the binder route, but opted to use my new, awesome binding machine to bind them instead and I LOVE it so much more than using a binder! Since I am OCD and Type A, I want my kiddos to also be organized, so I make them these awesome work folders to keep in their chair pockets. 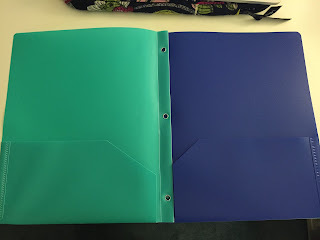 I purchase 1 pronged folder and one not-pronged folder to make one set for each student. Take the not-pronged folder, and hole punch, if necessary, then turn the folder inside out. 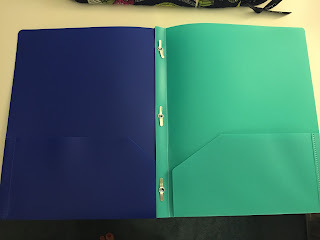 Put the folder on the prongs, fold up the prongs, and you now have a 4 pocket folder for each student. 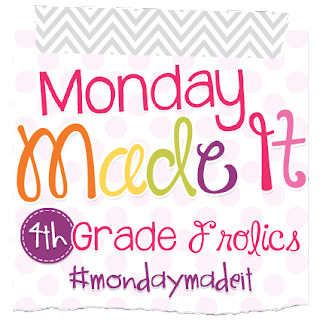 I just need to print my labels that I add on each pocket folder section so the kiddos know where to put their work. Plus, it helps them (and me!) find work when we go looking for MIA work! #1 Part 2 - Some bulletin board and work display headers thanks to my Cricut! Going to mount our anchor chart pad on the bathroom door - so it needed a pretty title. Going to give anchor charts a try this year! Our closet door is going to #AwesomeWork! And then I have my College Bound Kiddos! You can find an editable set of these in my TPT store! 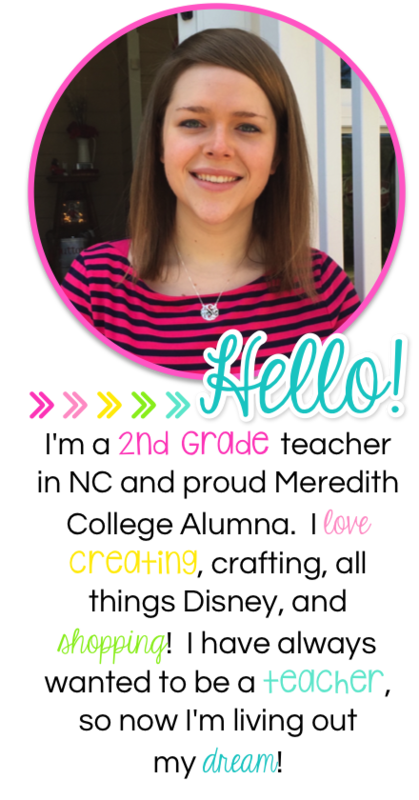 Editable name tags! 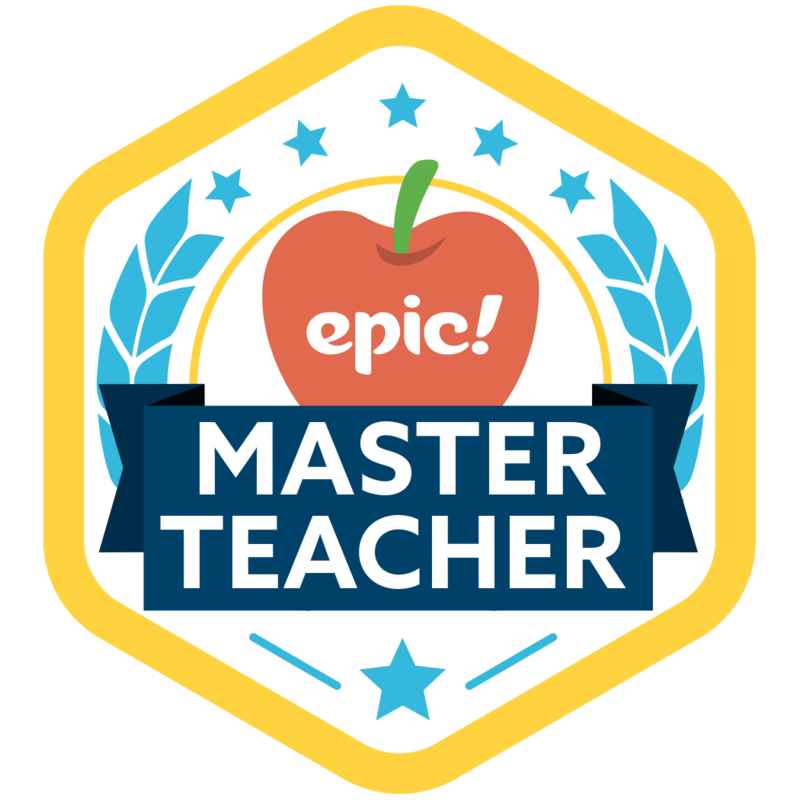 Last year, I made a personalized name tag for each kiddo in my class. The colors were random, but the kiddos LOVED having their own little Melonheadz (even though they didn't know what they were called). 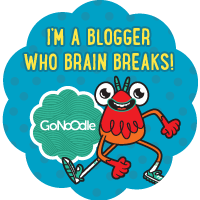 So, this year, I gave them a facelift and then added them to my TPT store. There are 76 (yes 76!! 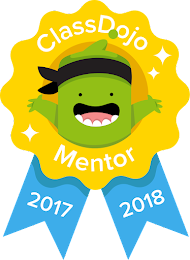 ), different kiddos to choose from, so you can match up your students with their own Melonheadz. I give my kiddos numbers, so I have a set that includes a place for their number as well as a set without numbers. Last night, I also finished up my Judy Moody & Friends book companion set - spent my evening doing a little crafting! Book companion and crafts for all 5 books in the series! Everything looks great! Wow I cannot believe you go back to school so quick! Enjoy what is left of your summer. Yeah, kids come back July 27th...but come end of September, I get a 2 week track-out! I'll be Disneyland bound with my dad! I have been wanting a Silhouette Cameo so badly but I'm scared too spend that much and then not be able to handle the "learning curve". The accents you have made are adorable. You go, girl! I actually have a Cricut Explore and LOVE it. I haven't had experience with the Cameo, but I am on my 3rd Cricut - I've had an Expression, Expression 2, and now an Explore. I pretty much only got the Explore so I could cut fonts downloaded on my computer! Thanks! Can't wait to get in my room to put it all back together! Cute nametags! I have been wanting to try that folder idea for awhile. I love the color combo you used. Enjoy your summer! I like the idea of the student folders. 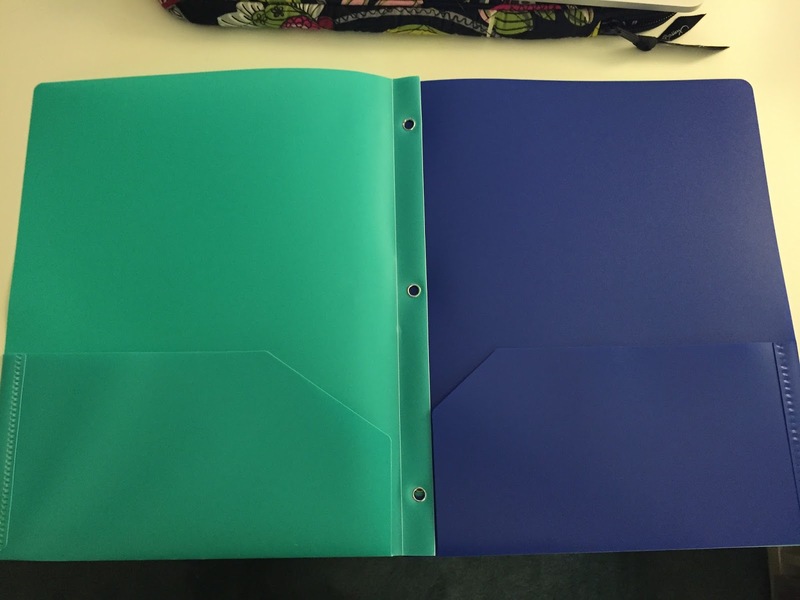 I would not have thought to turn the other folder inside out to make 4 pockets. Thanks for sharing! We know our MATH FACTS Jack! They had me a free shirt!